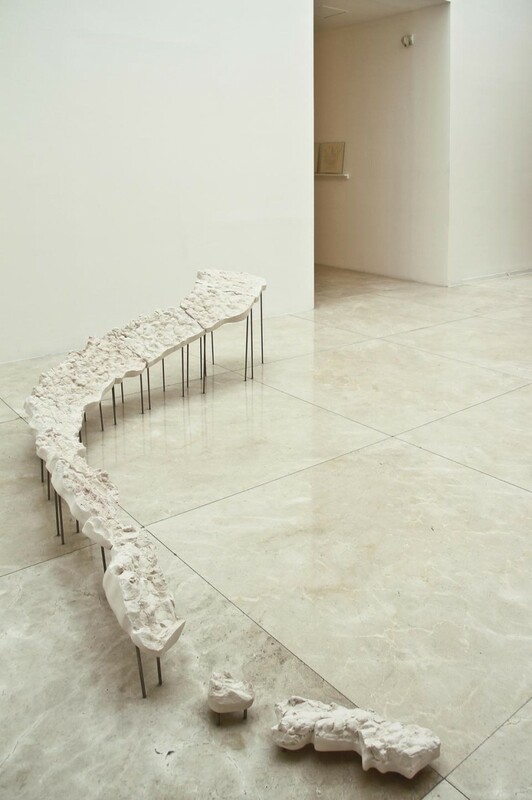 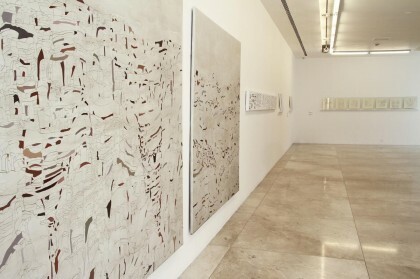 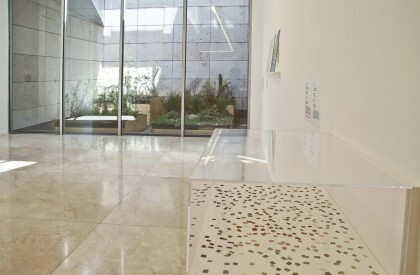 Puntos cardinales is the first solo show in Argentina of work by Argentine-born artist Irene Kopelman (Córdoba, 1974). 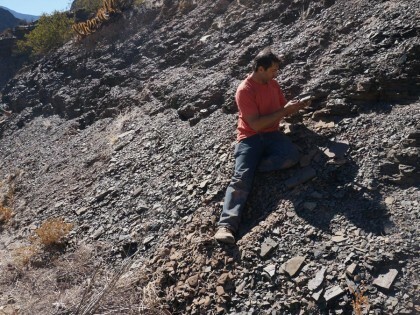 Puntos cardinales is a collaborative work in progress based on a number of expeditions with scientists, biologists, and geologists to different regions of Argentina (Puerto Madryn, Chubut province; Ischigualasto and Jáchal, San Juan province; and Pampa de Achala in the sierras of the province of Córdoba). 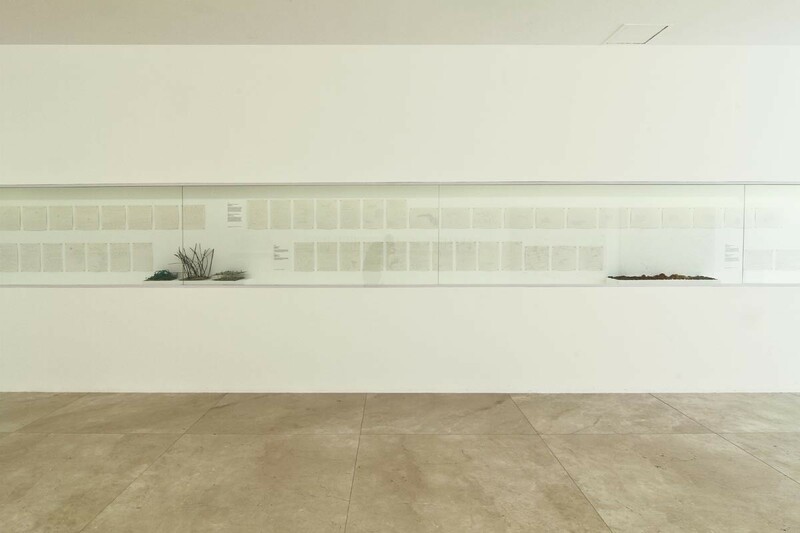 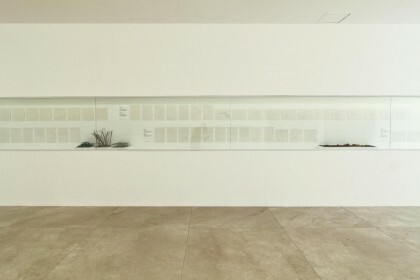 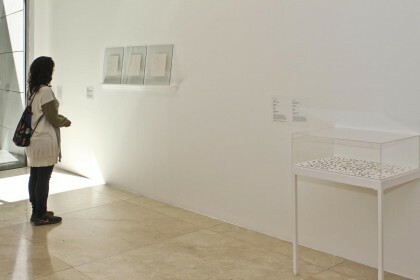 Each of those journeys yielded a set of works (drawings produced in situ, field notes, large-format paintings, sculptures, and the site-specific installation in Malba’s gallery 1). 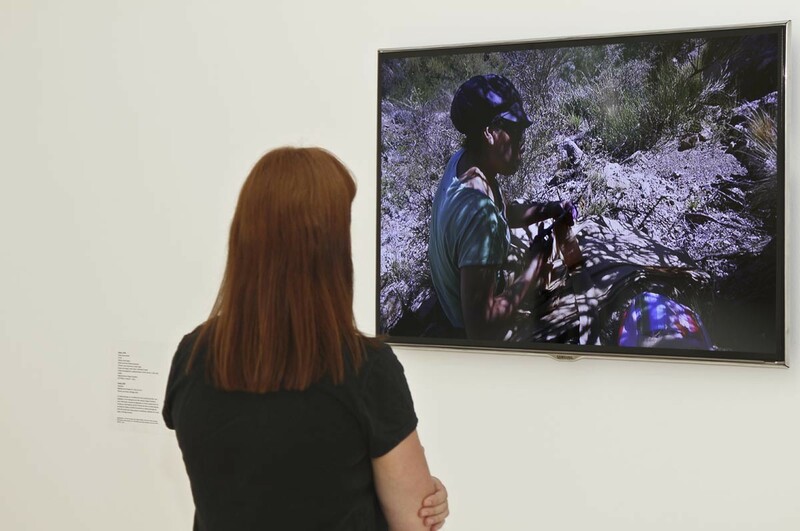 While the scientific research processes vary from expedition to expedition, the underlying artistic concern does not: Kopelman attempts to identify and to study that which can be represented in drawing. 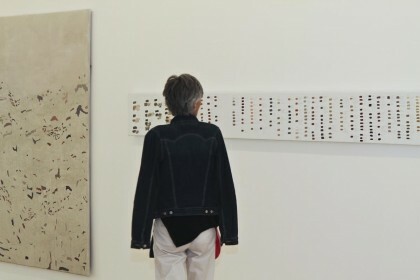 She first performs a quick survey of the information characteristic of each species or topography and then, on the basis of field notes, works on each of those territories or species in her studio. 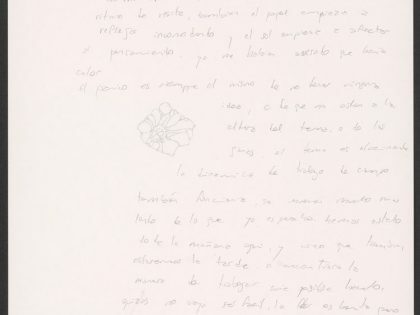 In Puerto Madryn, Chubut, Kopelman engaged in study of invasive marine species like the styela clava (stalked sea squirt). 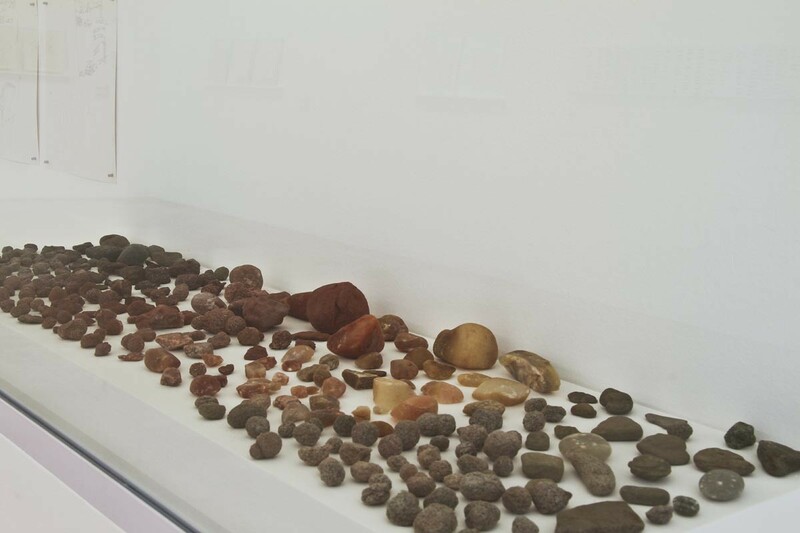 In the Ischigualasto region and the Argentine Low Monte of San Juan, the artist, along with specialists, studied different periods of geological formations. 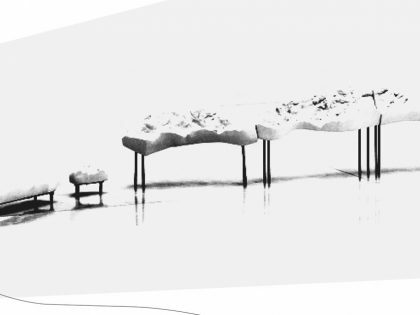 With that group of geologists, she visualized a formation known as slump, which she would render in sculpture format. 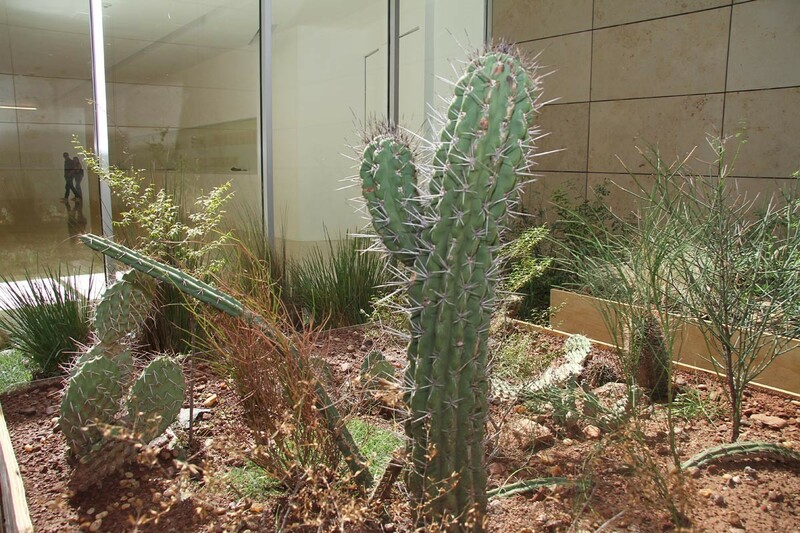 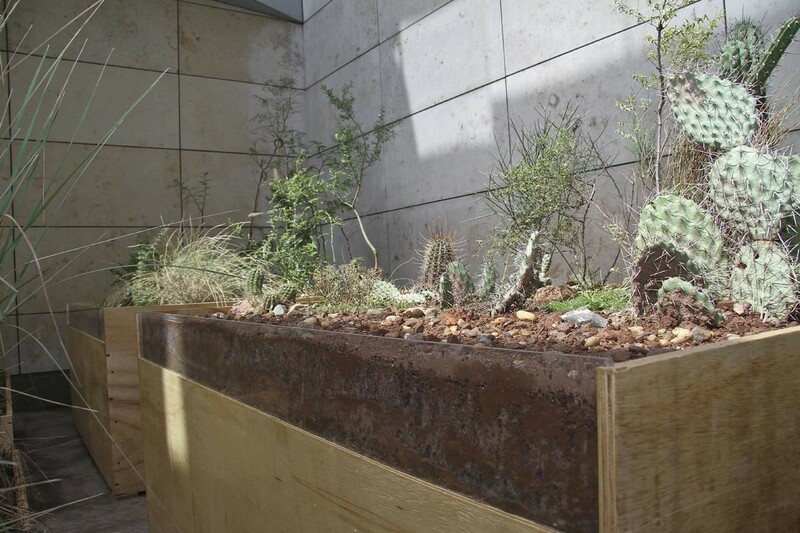 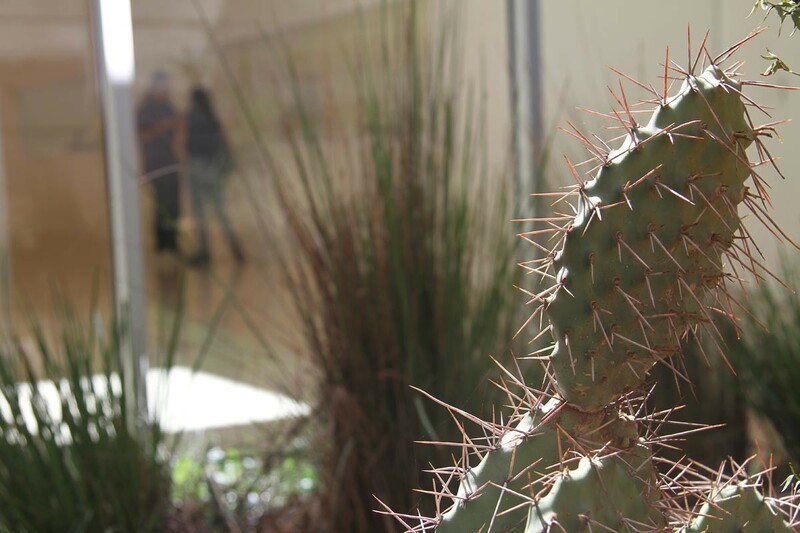 In Pampa de Achala in the sierras of Córdoba, the artist, along with a group of ecologists, studied a number of earthbound invasive species. 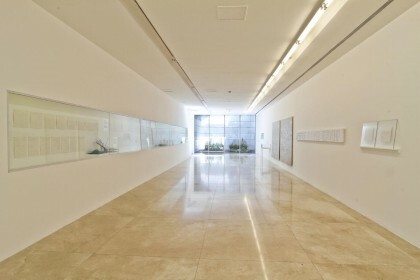 The journeys culminate in a number of series displayed in the museum space according to the characteristics of each region and each research project. The exhibition layout, then, takes into account the scientific methods and instruments used during the expedition and the field work, as well as the colors of the landscape and the type of species studied and represented. 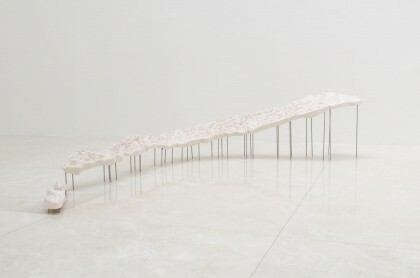 She holds a doctorate in fine arts from the Finish Academy of Fine Arts, Helsinki/. Born in Argentina, Kopelman moved to the Netherlands in 2002 to take part in an artists’ residency at the Rijksakademie van Beeldende Kunsten in Amsterdam. Recent exhibitions and projects include: On Glaciers and Avalanches, CRAC Alsacia, France, 201; Indexing Water, Kunsthalle Lisbon, Portugal, 2017; Campamento de Dibujo, Quebrada del Condorito National Park, Córdoba, Argentina, 2017; Underwater Workstation, Diablo Rosso, Panama, 2016; On Glaciers and Avalanches, Galería Labor, 2015, Frisos, FLORA art + natura, Colombia, 2015; SITE Santa Fe International Biennial, 2014; Vertical Landscape, 8th Berlin Biennale, 2014; LARA (Roaming Art Latinoamérica), MAC, Peru, 2014. 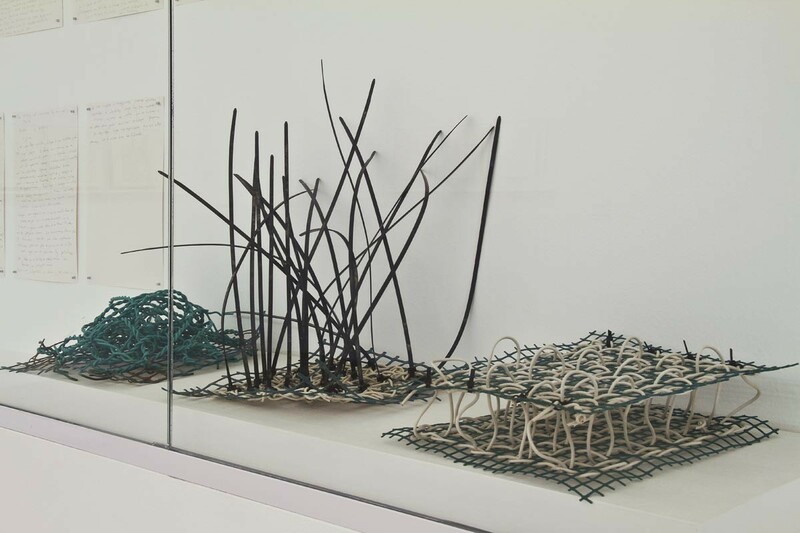 Her artistic practice includes collaboration with different research institutions like The Royal Netherlands Institute of Sea Research (NIOZ), the Netherlands, (2016/2017); the Smithsonian Tropical Research Institute (STRI), Panama, (2012/2016); Manu Learning Centre, Peru (2012); Naturalis Biodiversity Center, Leiden (The Kinabalu/ Crocker Range Expedition, 2012, and ‘Chiral Garden,’ La Verriere Fondation D’Entrerprise Hermes, Brussels, Belgium, 2013); Museum Boerhaave, 2012; World Glacier Monitoring Service, University of Zurich (2013/2014); and WSL Institute for Snow and Avalanche Research SLF, Davos (2013/2014). Kopelman has also published a great many books, among them Three Interventions in a Space (2003) and Notes on Representation, Volume I (2006), II, III, and IV (2011), V (2013), VI (2014), VII (2015), and VIII (2017). 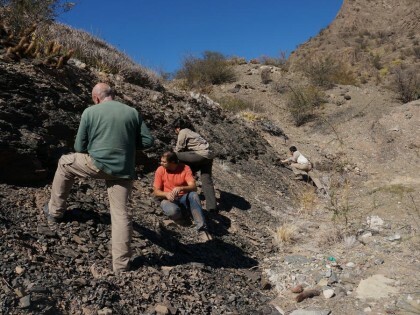 En una zona cercana a la localidad de Jáchal, en la provincia de San Juan, Irene Kopelman, los investigadores Emilio Vaccari, Miguel Ezpeleta y Juan José Rustán y los técnicos Ivana Tapia y Santiago Druetta, observaron un slump, un pliegue de una capa de roca producido durante el proceso de sedimentación que la originó, de 320 millones de años. Con el apoyo del Laboratorio de Ecología Evolutiva y Biología Floral, Instituto Multidisciplinario de Biología Vegetal (IMBIV, CONICET–UNC), y junto a los biólogos Alicia Sérsic, Constanza Maubecin y Nicolás Rocamundi, Irene Kopelman viajó al litoral argentino para investigar un género de plantas denominado Nierembergia (Solanaceae).